You Are Here: Home » Litigation Consulting » How Much Information Do You Share With Your Spouse? Marital law varies from jurisdiction to jurisdiction. In this article, Daniel R. Stefani discusses a recent Illinois Appellate Court case where the issue before the court was whether husband dissipated assets. The term dissipation is defined and the question raised is how much information do you share with your spouse and how that can impact an equitable division of marital property. Hot off the press is the case of In re Marriage of Schneeweis, 2016 IL App (2d) 140147. There the Appellate Court affirmed the Trial Court’s ruling that husband dissipated much of the marital estate by using marital funds to engage in high-risk securities trading, without telling his wife any details. However, this occurred several years before wife ultimately filed for divorce. This decision could cause many litigants problems, given the fact that most married couples, even while happily married, do not fully communicate with respect to their finances. Dissipation is one of the factors that a Trial Court must consider in allocating marital property equitably. 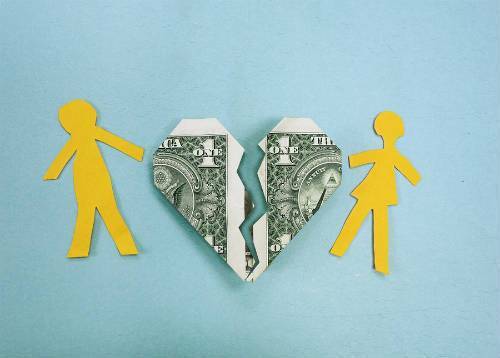 Dissipation is defined as the “use of marital property for the sole benefit of one of the spouses for a purpose unrelated to the marriage at a time that the marriage is undergoing an irreconcilable breakdown”. In this case, husband worked during most of the marriage in sales and management positions and not in any way in investment services, despite obtaining a license to trade just after college. Husband paid most of the bills and made all of the parties’ investment decisions throughout the marriage. The parties were married in 1993 and in November 2009, wife filed for divorce. The Trial Court found that the marriage began undergoing an irreconcilable breakdown in June 2005 and curiously, husband did not contest this finding on appeal which could have mitigated the amount of dissipation. In July 2005, the parties refinanced their home and husband opened a Home Equity Line of Credit (HELOC) in his own name without wife’s knowledge. He also opened a savings account without wife’s knowledge and transferred monies drawn on the HELOC into that account. In 2005, the parties’ investments were managed by reputable third-party institutions. In late 2005, husband told wife that he wanted to quit work. Wife told him that he should not quit his job until he found a new job. In January 2006, husband exercised certain stock options and transferred monies into a newly opened account without informing his wife. In October 2006, husband quit his job and planned to begin trading securities in his own account in order to provide for the family. He told wife of his actions and intentions later the same day he quit. Thereafter, husband began making day trades. Wife testified that she did not know what husband was doing when he said he was “trading” and he kept her out of their home office where he worked. He never discussed with wife the extent of any losses incurred through his day trading. In early 2007, husband enrolled in a two-year program of online courses from a company called Investools, and he spent hours on the telephone discussing potential investment strategies with personal trading coaches. He completed the two-year program. In mid-2007, husband transferred over one million dollars of the parties’ personal assets, including almost $400,000 from his retirement account into his trading account. From June 2007 through August 2008, husband continued high-risk trading, funding his trades through increasing margin debt. The Stock Market then declined and in late 2008, there was less than $200,000 left. The Trial Court issued its Judgment on January 8, 2013 and found that husband dissipated over $890,000. Specifically, the Trial Court found that husband “commenced in the course of speculative, high-risk investing without the necessary acumen and experience”. The Trial Court further found that husband dissipated marital assets “in that he caused or allowed the devaluation of the marital estate through his unwise trading practices and his incurring of significant debt without wife’s knowledge”. On appeal, husband argued that while he failed to discuss his trading activities with wife, his course of conduct did not amount to dissipation because he did not intend to lose money; rather, he was simply caught in a stock market crash. The Appellate Court rejected this argument based, in part, on the fact that intent is only one factor that the Court may consider when determining dissipation and since intent was not dispositive in finding dissipation, even if his intent was to make a profit, his actions could still constitute dissipation. The Court further diluted the importance of intent by noting the definition of dissipation does not include any reference to the dissipating spouse’s intent and also noting that gambling with marital funds historically has been treated as dissipation, despite the fact that the gamblers intended to win. The Court then distinguished a Fourth District decision that found a husband’s losses from commodities trading did not constitute dissipation because there was no evidence of intent to willfully dissipate marital assets since the investments were made prior to and in the early part of the marriage when there is no indication of marital discord. What is troubling to me about this decision is that wife had ample indication of what was going on as early as 2006 when husband quit his job and told her that he would be day trading. She could have filed for divorce then but she did nothing for over three more years. She also had access to joint tax returns during that time period. It is also a bit of an inconsistent way of looking at things, since if husband had been successful in day trading activities, certainly those assets would be found as marital and equitably divided. This article was previously published in Chicago Lawyer Magazine, August 2016. It is re-printed here with permission from Law Bulletin Publishing Company. Mr. Stefani can be reached at (312) 364-9000 or by e-mail to Dstefani@katzstefani.com.